Dallas encouraged Arthur to keep going and to believe that anything was possible. Even though doctors told him walking would never happen, Arthur was persistent. He fell many times, but kept going. His story is proof, that we cannot place limits on what we are capable of doing, because we often do not know our own potential. Neither Arthur, nor Dallas knew what he would go on to accomplish, but this video speaks for itself. 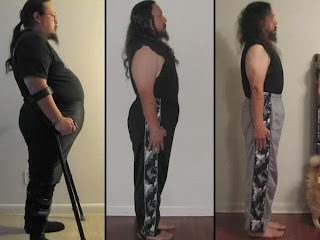 In less than a year, Arthur completely transformed his life. If only he had known what he was capable of, 15 years earlier.